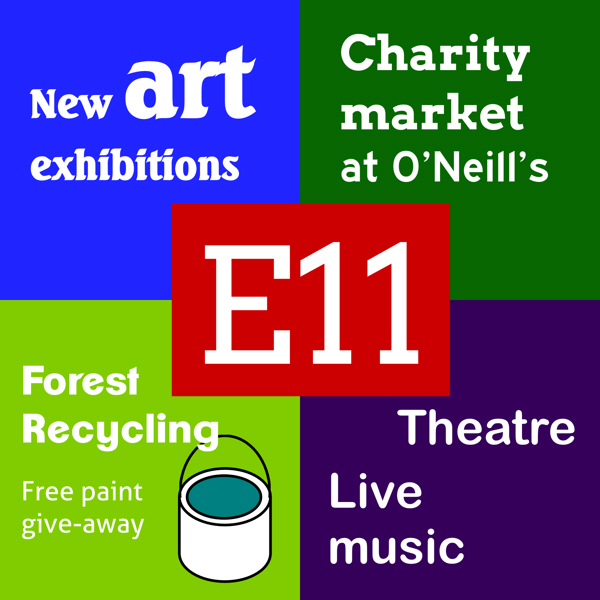 Forest Recycling are giving away free paint this Saturday, there’s live music, theatre, a new art exhibition and next week a charity market at O’Neills. And lots more going on in Leytonstone. Please pass the message on! An exhibition by local artist Carne Griffiths whose distinctive style uses brandy and tea for his paintings started this week at the Slate Gallery (the window space next to the Stone Space on Church Lane) and runs until 13 April.